Following the intervention of Governor Tanko Almakura in a bid to end the three month old ASUU strike in Nasarawa State University, keffi, there seems to be a light at the end of the tunnel. 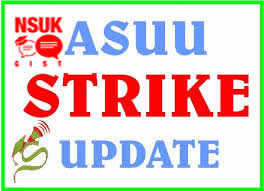 NSUK CampusWatch has been reliably informed that the three months old industrial action by the Academic Staff Union of Universities, Nasarawa State University Chapter will be suspended tomorrow. Our source disclosed that the purpose of the Congress meeting scheduled to take place tomorrow, 31 May 2016, is to decide on suspension of the strike. The congress meeting was scheduled after the governor annouced that the Sum of N162 million has been released to the school management for payment of the lecturers Earned Academic Allowance (EAA). It should be noted that this N162 million is different from the N250 million that the government has offered to provide for funding of the University. However, our source admonished that students should wait for the official declaration as it is the Congress that has the power to suspend the strike.